Silverlight instead of Flash on iPhone? A file system is the component that allows an OS (operating system) read from and write to files on your devices storage. Every OS has its own file system, some of which are more compatible across platforms than others. For example, Mac computers used exclusively HFS+, while the current versions of Windows uses NTFS (New Technology File System). When you connect a storage device formatted in NTFS to a Mac, it is recognized and read alright, but you can’t modify it by any CRUD operation i.e. Create, Read, Update, Delete any files on it – unless you have some 3rd party add-ons installed and configured, and you can learn about them in this article to ultimately enable Mac to write onto NTFS drives. Although the inability to write to NTFS on the Mac might become quite an issue for Mac newbies, be them first-time computer users or switchers from PC, the solution which is was invented as early 2000s, has evolved over the years as macOS (X) has been updated. The Mac operating system formerly called OS X – last year renamed macOS – can always read & write to PC disks and hard drive volumes formatted in FAT32 – a format which is not quite used any more due to its limitations of 4 GB maximum file size and 2 TB for maximum storage volume, whereas NTFS, free of these limitations, is readable not just by Macs since day 1, but by almost all non Windows-PC systems as well. However NTFS is not writable by default outside Windows due to a restriction brought on by Microsoft. As mentioned, there already are a few 3rd party solutions and workarounds to remove this restriction. With the release of macOS High Sierra which introduced Apple’s new file system called APFS to be used by newer SSD-based Macs replacing the legacy HFS+, bringing on the ability to write to NTFS formatted volumes has become a little more complicated. 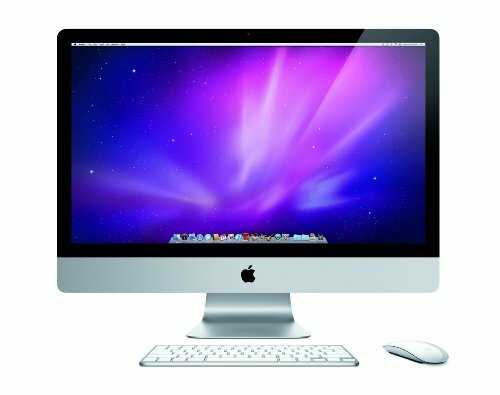 Since my article titled Ability to write to NTFS volumes on the Mac published back in 2008 has become fairly obsolete so that the suggested workaround(s) in it are now very difficult if not impossible to apply, in this new, 2018 article, I’ll be explaining some of the best solutions for the need to write to PC volumes a.k.a. NTFS drives as an assertive old-timer. I’ve been using Apple computers since 1985 and have been doing computing cross-platform computing since 1993, and have been using Bootcamp since the year it came out and cross-platform working is at the heart of most of my digital activity. If you are like me, you might be working on the Mac with dozens of windows open at the same time, yet trying to use the computer’s memory in the most economical way given the needs. As an application developer and a WordPress techie who spends most of his time working in and switching between the web browser windows, my IDE, database tools (especially Navicat), and the command line. Also I occasionally use a few applications from the Adobe Creative Cloud suite of products. Once any Adobe application from the Creative Cloud suite is installed on a computer, Adobe first sets up a set of its mixture (or a hybrid) of ‘agent’ and ‘installation manager’ applications on the system, whose resources they could be consuming extravagantly. These little Adobe CC agent apps are always running and strutting around behind the scenes with GUI-less interfaces, even when you are not using a single Adobe application. And they are only noticeable from the list of background tasks and software daemons. To make things worse, they can be wasting a lot of your CPU time if not also a considerable amount of RAM. In the first times, I personally did not care much about it, as I thought just hitting the Adobe CC icon (which resembles an infinity symbol) in the menu bar, and then quitting Adobe Creative Cloud from there would just shut it up, and reclaim all the memory and CPU it had been consuming. Adobe Creative Cloud software has a number of undercover agents always running in the background, apparently doing certain deeds of Adobe, even after quitting the application from the menu bar, or even when there is no single Adobe application that is active(ly running in the foreground) or one that you have ever launched. In fact, I have recently come to the realization that quitting Adobe Creative Cloud from the macOS menu bar does not really quit anything except removing its icon from where you last clicked it (in this case, the menu bar). This can be clearly observed by watching them under-the-hood with the Mac’s Activity Monitor, or more conveniently with the command line bash utility from within the Terminal application. Although we do not hear the name “iWork” pronounced anywhere any more, it was the name for the trilogy of the full-blown productivity suite from Apple featuring word processing, spreadsheet and presentation applications alternative to Microsoft Office. The “hard-client” version of these applications – namely “Pages“, the word processing app, “Numbers” the spreadsheet app, and “Keynote“, the presentation app – are usually available for free exclusively to Apple customers who purchased at least one of Apple hardware product such as a Mac computer or an iOS-based smart device such as an iPhone or iPad or at what I would call a reasonable price to be purchased separately by old-timers and early-adopters like myself. However, Apple has also made web versions of these applications back in 2011. As of 2012, the software set was free to any purchaser of a new Apple product – a perpetual license is automatically granted to the associated Apple ID of such a customer so that they can download them for any of their Apple devices from Apple’s App Store. Very few people know that the web application version of Pages, Numbers, and Keynote are actually free for everyone who just signs up to obtain a free Apple ID and get access to iCloud.com (which is also for free) via this Apple ID even if they didn’t (and won’t) purchase anything from Apple. And because the iCloud versions of these applications simply run inside a web browser, you do not necessarily need a Mac or an Apple smart device to use them. As mentioned above, the alternative “Office” productivity suite consists of “Pages” the word processor which is pretty much compatible back and forth with the files created with Microsoft Word, “Numbers” the spreadsheet solution with artistic style so that aside from creating and working with traditional spreadsheets, you can also create ones which look like product brochures with stylish tables and formatting with an impressive (but not extreme) compatibility with Excel, and the last but not least is the “Keynote” application which is a presentation application that works the “Apple way”. These three applications can import and export most MS Office files (except those loaded with VBScript macros), and they are even capable of producing PDF outputs. With Pages, it is even possible to export your document as an ePub file – great news for self-publishing book authors! To use these applications, all you need is a browser and an “Apple ID”. Very few users know that on any computer, be it a Mac, Windows PC or Linux/UNIX machine – especially one freshly set up with any applications not yet installed except a default web browser coming along out-of-the-box, one can just log in to www.icloud.com and start working on .doc(x), .xls(x) and .ppt(x) files (or create them from scratch), share them by e-mail (with no e-mail client set up on that very computer) and even export them as PDFs – all just using a compatible browser. At the time of this writing when Safari 10.1 is a month old since its release, iWork page on Apple’s web site acknowledged that iWork for iCloud works with Safari 6.0.3 or later, Chrome 27.0.1 or later, and Internet Explorer 10.0.9 or later. Although a recent version of Firefox should do fine as well, Apple does not seem to officially support Firefox, neither guarantees iCloud will work fine on it. Manomio a mobile software developer company with the motto “in retro we trust” has come up with a Commodore Amiga Emulator for iOS which will enable users of iPhone, iPad and iPod Touch to play Commodore 64 and Amiga games on their iOS devices. Manomio is in the course of some legal procedures to license the required intellectual property and is also working with individual developers to bring popular Amiga titles to Apple’s App Store. iPhone works with MobileMe, Microsoft Exchange, and many of the most popular email systems. MobileMe and Microsoft Exchange provide not only email, but contact and calendar information that can be synced to iPhone automatically, over the air. MobileMe can also sync your bookmarks on iPhone with Safari on a Mac, or with Safari or Microsoft Internet Explorer on a PC. You set up MobileMe, Exchange, and other email accounts directly on iPhone. For many popular email accounts, iPhone automatically enters most of the settings for you. If you ever run into a disk image in .daa format, and you need to access its contents on Mac OS X, DAA Converter for Mac OS X is what you need. DAA Converter for Mac OS X is a free utility for converting DAA & GBI disk images to ISO format so they can be accessed on your Mac. DAA Converter is a native GUI application which wraps the command-line tool, DAA2ISO / GBI 2 ISO, by Luigi Auriemma. It runs on Mac OS X 10.3 Panther or later. I have tested it on Mac OS X Leopard which works just fine on 10.5, too. Just drag the icon of any .daa or .gib disk image onto the application’s icon, and the conversion process will instantly take place – an .iso version of the disk image will be instantly created on the same directory as the source image file. You can download DAA Converter for Mac OS X	(113 downloads) here or visit the downloads page. Popular among Windows PC users .Uif is an alternative disk image format to others like .iso, .img and .bin-.cue couples. Uif2iso which is a cross-platform command-line tool developed by Luigi Auriemma. Uif2iso4mac a GUI application by Torsten Curdt . Uif2iso4mac is built upon Luigi Auriemma’s uif2iso command line utility with a Mac graphic user interface adding basic functionalities of a real Mac app like drag-and-drop and a menu bar i.e. choosing an image using the File > Open menu. The iPad is a tablet computer which is expected to be a breakthrough product developed by Apple. It features multi-touch interaction with print, video, photo, and audio multimedia, internet browsing, e-mail messaging, eBook reading, and runs most iPhone OS apps. What does iPad look like (really) ? There you go – pictures from actual product photography all over this page. Also, see right below to watch Apple’s iPad advertorial video in Flash video format. If you are viewing this on an iPhone, you may want to go to Apple’s iPad web page to see the video in QuickTime format. The device has an LED-backlit 9.7-inch (25 cm) color LCD display and uses a virtual keyboard for text input. Its operating system is expected to be called iOS in the near future while currently it is strictly based on the iPhone OS therefore capable of running most iPhone apps. iPad prices for models in the United States range from $499 to $829 depending on the amount of storage and inclusion of 3G access. Prices in U.S. dollars. International pricing will be announced at a later date. 3G data plan sold separately. When will iPad be shipping? Wi-Fi models shipping in late March. 3G models shipping in April. Time will show if tonight’s announcement, which is due in about an hour from as of this writing, will mark some milestone in the history of computing, electronics, technology, etc. Apple’s home page theme has – most probably intentionally – not been updated for a couple of months now – not even on Christmas or the new year unlike before. I’m sure they will replace the main theme which has been showing off the big iMac screen displaying Star Trek with the new long awaited innovative Tablet device what we tend to call the iPad and we are yet to learn whether it’s really called iPad or iSlate or what-so-else-ever. Apple is yet to announce a new tablet device on January 27th, 2010. The long-awaited device which gossibers called names such as Touchbook, iTablet, iSlate and iPad, etc, according to Steve Jobs, is the most significant invention of Apple in this century. Over the recent years, despite the ever-growing popularity of the NetBook market over the existing portable computer market in which Apple has highly popular notebook products such as the MacBook and MacBook Pro, Apple had declined to enter the Netbook arena. Instead, Apple chose to develop a new tablet product which was thought to resemble Amazon’s mono-chrome eBook reader Kindle or so suggested the ongoing rumors, especially after the success of its smart phone-hand-held mini-computer combo iPhone and iPod touch. A more recent report by Macrumors stated that Apple was working closely with the New York Times and some book publishers on an eBook reader app – obviously targeted for the new tablet device – and maybe for iPhone and iPod Touch as well. Due to certain ongoing legal issues, the name of this new tablet device was uncertain at the time of the drafting of this article, but the last two enduring candidates for the device name were iSlate or iPad – the latter of which is most likely to be announced tomorrow. What good is an iPad for? With an iPad, you can read eBooks, eMagazines, e-publishings, etc, play 3D games (like those on the PC and the PSP), surf the Internet, watch TV and videos in HD, do word processing, spreadsheets, page layout and animated presentations using the iPad version of Apple’s iWork software which is a simpler and easier-to-use rival of Microsoft’s Office software. iPad makes use of both wi-fi and 3G for connectivity. A lot of rumors, speculations and gossips kept going on about what the iPad was going to be like as well as many concept illustrations were found all over the Internet. Here’s an easy trick to make if you want to transfer a website you’ve made on Mac using iWeb to another Mac to continue editing with iWeb on that Mac. Exit iWeb on the first machine (where you created the web site). Using the finder, go to your home folder, open your Library folder, then open the Appliation Support folder. Finally, launch iWeb, and you can now edit the web site on the second machine. Although a beta version of the new, popular, long-awaited web browser Google Chrome for the Mac has already been released, the download page file has been removed from Google’s own search results. Luckily I had downloaded a beta version and already using it. You can download it here for your own hands-on experience on Google Chrome on your Mac. Google Chrome is made possible by the Chromium open source project and some other open source software. iPhone does not support Adobe Flash, because it does not comply with Apple’s policy about 3rd party apps may not install software on iPhone which limits all application adding/removing on the iPhone OS to be handled by the App store. Betanews.com reports that Microsoft worked with Apple for streaming video to an iPhone from a Silverlight-based platform, on a special note by Microsoft’s User Experience Platform Manager Brian Goldfarb. “The promise of Silverlight is that it’s a cross-device, cross-browser, cross-platform solution, and it works the same on Macs as it does on Windows,” Goldfarb said. The argument of iPhone supporting Silverlight was born in a demonstration event where an H.264 video was played on an iPhone using Microsoft’s Silverlight video streaming wirelessly. Although having a Microsoft stream on the iPhone at a first glance suggests that Silverlight might be an alternative to Flash on the iPhone, this seems to have nothing to do with a client-side plug-in – thanks to the <VIDEO> tag introduced in HTML 5 which is supported by Safari (including iPhone Safari) even YouTube videos can be streamed on the iPhone. Thank you, Brian Goldfarb, for your play of words to advertise Silverlight and causing confusion, and admitting that at Microsoft, you work with Apple. One of the most annoying and frustrating thing especially for the so-called Windows-converts (i.e. people who “switch to the Mac” from Windows) on Mac OS X is that the maximize button (the small round green button with a ‘+’ sign on the upper-left corner of every window) acts differently on Mac than Windows in most cases. In fact, the maximize button behavior varies from application to application on the Mac, and unlike on Windows, it does not necesseraly maximize the window, but just change its dimensions. (See below and the rest of the article for details and for a couple work-around solutions to making windows full-screen on web browsers such as Safari). On windows , the maximize button – where the term “maximize” is inherent from Windows operating system anyway – simply enlarges a window to almost full screen except that the window’s title bar, menu bar and the task bar remains visible and the remaining space is allocated to the window and its contents. On the Mac, however, this may not exactly be the case – especially when using Safari. The following article which describes how to setup Windows Live Hotmail account on your Mac’s Microsoft Entourage e-mail client app, was taken from a web page on Microsoft’s web site. The method described can also be applied to Apple‘s Mail.app to use Hotmail from within Mail on Mac OS X (tested only on Leopard at the date of this writing). Alternatively you can download and run a small utility app called Mail Setup which is claimed to run on both PPC and Intel Macs – this program can setup most e-mail accounts for you including but not limited to MSN Hotmail, Yahoo! Mail, AOL / AIM Mail, Gmail, etc. Windows Live Hotmail accounts, including free accounts, can now be set up in Entourage as POPA common type of Internet-based mail account. Examples are Windows Live Hotmail and Yahoo! Mail. After you add a POP account to Entourage, messages from the account appear in the folder list under On My Computer. All Windows Live Hotmail accounts must be set up in Entourage as POPA common type of Internet-based mail account. Examples are Windows Live Hotmail and Yahoo! Mail. After you add a POP account to Entourage, messages from the account appear in the folder list under On My Computer. To set up an account, follow all the instructions in the following sections (you cannot use the Entourage Account Setup Assistant for Hotmail setup).